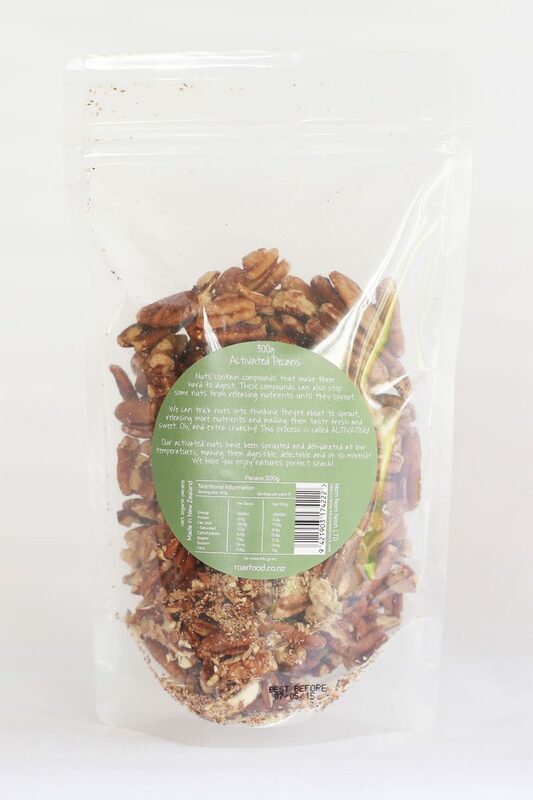 The organic pecans are soaked in water until they begin to sprout. They are then dehydrated at low temperatures (below 45°C) until they are about 10% lighter and really really crunchy. 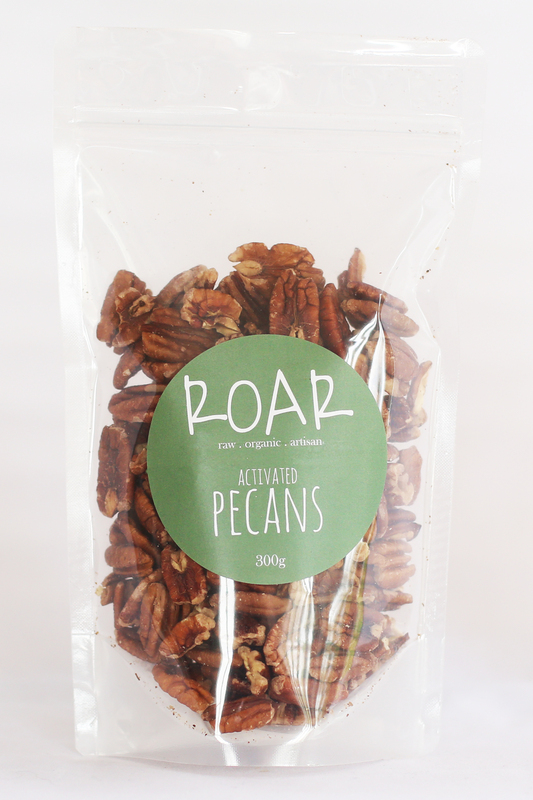 Pecans are an ideal snack, high in dietary fibre, which will leave you feeling satieted. High in unsaturated fats which are good for your skin, brain and heart. They are packed full of high quality protein and are high in magnesium.